Love stories of mystery and danger? 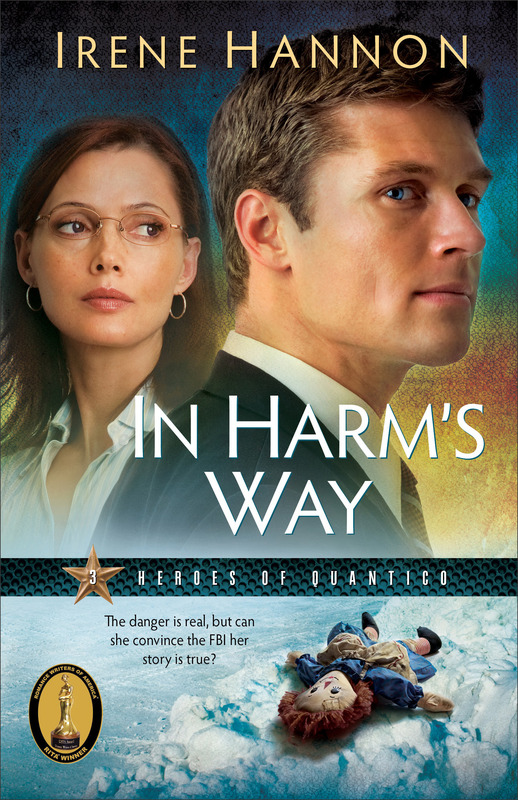 Irene Hannon's latest in the 'Heroes of Quantico' series In Harm's Way, sees FBI special agent Nick Bradley who deals with kooks everyday, but the enigma, Rachel Sutton turns at the FBI office in St Louis and produces a Raggedy Ann doll she found. In Harm's Way, perfect for fans of 'Bones', unfolds into a criminal yet romantic thriller and the final instalment to the 'Heroes of Quantico' series. Irene Hannon's leading agent Bradley dismisses Rachel as she tells of her worries, a strange feeling of terror when she touches the doll. In Harm's Way by Irene Hannon was published by Baker in May 2010 and is our 15557th best seller. The ISBN for In Harm's Way is 9780800733124. When piano teacher Rachel Sutton picks up a Raggedy Ann doll in a parking lot, she experiences a feeling of terror. FBI Agent Nick Bradley dismisses her feeling as psychic mumbo jumbo until clues come to light that link the doll to an abducted child. VERDICT This is a fine-tuned suspense tale that incorporates elements of romance, relieving what might otherwise be a too-intense experience. RITA? Award winner Hannon is a master at character development, writing believable, three-dimensional characters. Fans of Dee Henderson will enjoy this book. New readers will want to go back and read the first two titles in the series (Against All Odds; An Eye for an Eye). Got a question? No problem! Just click here to ask us about In Harm's Way.